This property is part of the Brand new villas for sale in an exclusive residential complex.. 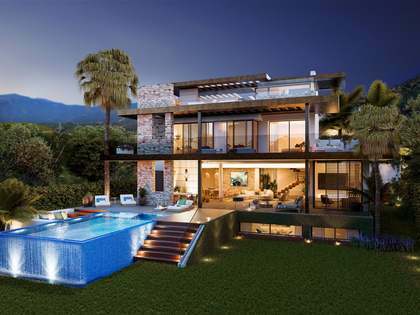 Stunning new development in an exclusive Golf Resort close to Estepona. 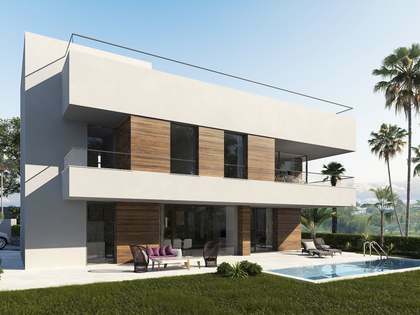 One of few remaining villas in an exclusive Golf Resort development close to Estepona on the Costa del Sol. 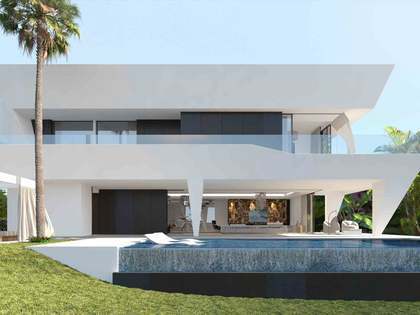 One of 15 stunning villas for sale as part of a new development, exceptionally well located in an exclusive Golf resort 5-10 minutes from Estepona and 18km from Marbella. Measuring 305m² and set on a plot of 626m², the villa offers both generous interior and exterior spaces. 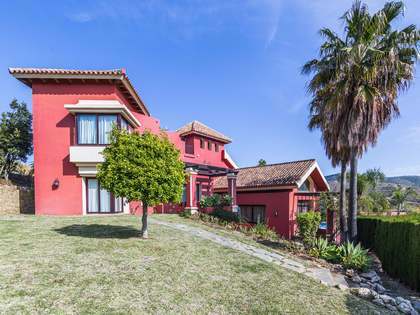 This modern villa boasts quality materials and finishes and offers beautiful views to the sea and across the golf course. The property is distributed across a basement, ground-floor, first-floor and roof terrace. An entrance hall leads to the large living-dining area with open kitchen and access to the covered and uncovered terraces, perfect for al-fresco dining. The open kitchen is modern and well-equipped with top of the range appliances. There is also a guest bathroom on the ground floor. Heading up to the first floor we find the 3 double bedrooms, of which the master bedroom has a private terrace. There are 2 bathrooms on the first floor. From the first floor the roof terrace, from which the lovely views can be enjoyed, is accessed. In the basement there is a a large multi-use space which would make an ideal games room. There is a further bedroom and bathroom as well as the instalations and utility areas. Outside an infinity pool is surrounded by lawn, the ideal private space for making the most of the Mediterranean climate. One of just a few remaining villas, this is an opportunity not to be missed.